“Google-pedagogics” may be one of the reasons why children in western countries score low on mathematical tests like the PISA test. By the term ”Google pedagogics” I mean the relative superficial way of teaching which has become more widespread in school in later years. There appears to be a more common perception nowadays that facts and rules need not be learned by heart, since the effective search engines on the internet provide the answer in milliseconds whenever needed. However, this entails surface learning, which for subjects like mathematics reduces progress and understanding. Fortunately, there has been an increased focus on in-depth-learning lately, which certainly is the way forward, and here I will give some scientific arguments to why. We have different memory systems in our brain, and two main categories are the working memory and the long-term memory. In the working memory we may temporarily hold 3-4 chunks of information “warm” for further combination and manipulation until they no longer are needed, after which they are cleared out. For instance, we use this memory to remember an address or a phone number until we have safely written it down. Also, things we look up on the internet tend to be such chunks of information which are thrown out after use, and the next time you need the same information, it must be searched for again… Hence, even though the actual internet search for a given fact is extremely quick, the process of learning and work becomes slow! The things that really stick in our minds are stored in long-term memory, which may be facts and concepts (semantic memory), events (episodic memory) and motor skills (procedural memory). Apart from episodic memory, like your first kiss, or other emotional episodes, the long-term memories require stages of consolidation and repetition in order to be stored properly. The fact that repetition improves long-term memory is not a new scientific discovery, and is something most people know from own experience, but I will here argue that long-term memorization of facts and rules, for instance in mathematics, is very important for understanding, in-depth-learning and creative thinking! Let’s first look at how we master skills like riding a bike or driving a car, which are examples unconscious long-term memory. I think no one will argue against the importance of practice in order to learn these skills. In the early stages of learning a new skill, our brain performs highly conscious activity in the frontal part of the brain, the so-called prefrontal cortex. 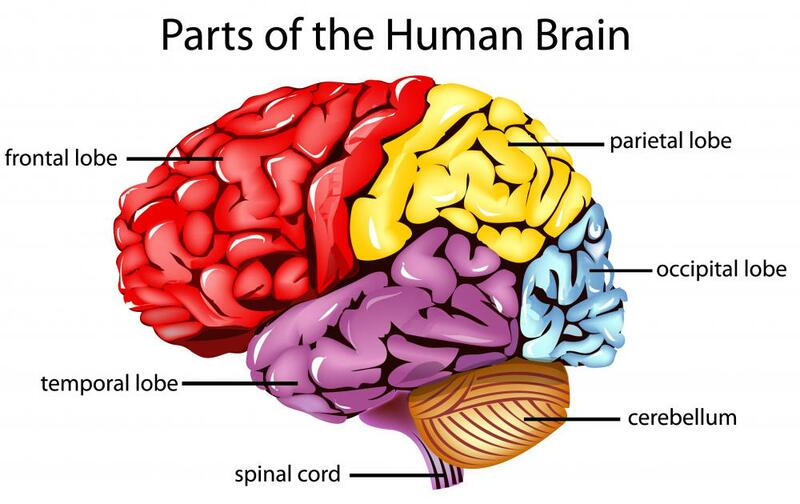 This is the brain region where we make conscious judgments, deductions, computations and planning. At this stage we try to figure out “what is the secret behind this?”, “how should I do this?”, or put in a more statistical way: “what is the general pattern which may be generalized?”. This process is slow and energetically demanding, but totally necessary. This is a direct parallel to what we in statistics call model estimation. We collect observable “data” and try to extract the invariant properties, the “truth” beyond the variable input. In statistics there is also a theory known as Bayesian statistics, which is characterized by the way previous knowledge is modified by newly collected observations to yield improved and more secure knowledge. This is exactly how our brain works to learn a new skill. By each repetition, the “model” for the skill, which is executed by the motor center of the brain, is improved from the outcome of new attempts. On order words; We become more and more skilled! In the learning phase of riding the bike, there was another thing going on in your brain. The ”model” you applied for biking was copied by your cerebellum, the small brain region at the back of your head, and at a certain point in your training, you started to apply this stored model for biking instead. The cerebellum took care of the planning of your action based on this model, and adapted it to the current situation. The neuroscientist call this a “forward model” for the skill, whereas statisticians would call it a “prediction model”. The use of this model is an effective, quick, automatic AND unconscious procedure. At this stage, you had learned how to bike! The role of the cerebellum as a controller and modifier of motor skills has been known to brain researchers for a long time, but lately new research has also shown that the cerebellum has a similar function for cognitive procedural skills. This is where the relevance to the mastering of subjects like mathematics really kicks in! Solving mathematical problems using axioms and theorems is a cognitive skill, which should be learned in a similar way as biking, by practice, practice, practice! From the biking analogy we have learned that practice improves long-term memory and automation of the performance of the skill. It also improves the speed of computation. This really should be obvious; knowing the procedures by heart is far more efficient than looking it up on the internet or deducing it from axioms every time you need it! Finally, I mentioned previously that long-term memory may enhance creative thinking. Also at this point the cerebellum appears to have a key role. A recent paper by Saggar and co-workers, published in Scientific Reports, show an association between creativity and increased activity in this brain region. A probable mechanism behind this is that the cerebellum, just as it can combine your automatic motor skills into new bodily movements, quite unconsciously can make new combinations from your automated cognitive “know-how”. This may also explain why many experience that creative thoughts seem to appear out of nothing while doing other activity with low level of consciousness, like driving, jogging or showering. It is the cerebellum which speaks! But, this means that creativity depends on having the building bricks available; facts, rules and the cognitive procedures stored in long-term memory, automated through repetition. A conclusion from this is that surface learning alone prevents long-term memory and creative thinking! Saggar et al. (2015), Pictionary-based fMRI paradigm to study the neural correlates of spontaneous improvisation and figural creativity, Scientific Report. Next Post: Sleep improves learning by statistical shrinkage and variable selection!